Appreciate the world around you to make it better and more beautiful. “Appreciation" gives us perceptions and awareness to move forward towards the higher goal to fulfill accomplishments. When our work is admired by execution it gives more strength to set enormous goals. We should take time to stop, appreciate us for what we have achieved and conceivably take lessons through mistakes, stumbles and losses. Actually, we are able to magnify and acknowledge ourselves because of those mistakes which happened. When we express our gratitude, we must never forget our self-esteem and also the absolute words which we speak, and also should actually live by them. My mentors admire each and every small thing which I execute. It gives me strength to accomplish goals and I gain more potential to set the next objective. Appreciation can build self-confidence and the strength to think beyond. It improves thought process, it forces our mind to do and this is the most wonderful thing which happens because it is required to boost our lifestyle. 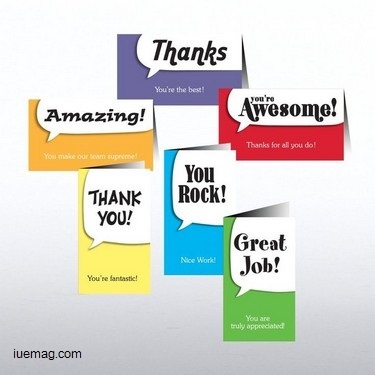 We should make a habit to tell people "Thank you" and express our appreciation without any expectations and honestly. We should truly appreciate those around us. Daily I used to travel by bus for college. On one of the days, the bus was very crowded and as I got in, one lady sitting on first seat just said, "Give me your bag, I will hold it." After taking my bag from her when I said, "Thank you" she smiled and said welcome. Before that moment I was very much frustrated and that moment really gave me happiness. Truly appreciate your Life which you're living because you never no what will happen next!! !